H is for hippo. You didn't expect it, did you? Every now and then I write about unexpected subjects, like bridges, working-class novels, esoterism, or cats. Cats are probably not entirely unexpected. But hippos are. 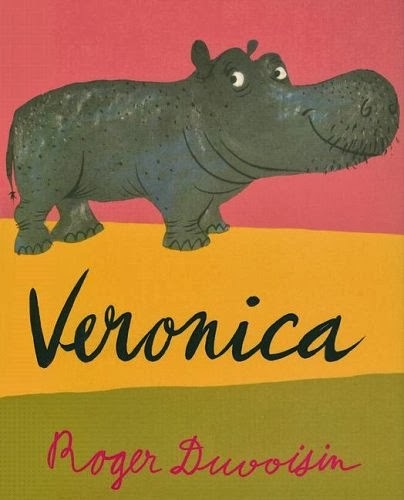 I wrote an essay on hippos in children's literature for a festschrift, and such publications do not normally get widely known (there are some famous exceptions). Writing for a festschrift is a bit like writing a column: it can be light in tone and not overloaded with footnotes, and you have fun in a way you cannot afford in a peer-reviewed article in a high-profile journal. I chose to write about hippos because the festschrift target has a famous collection of these, to which I had contributed. When someone you know collects frogs or egg-cups or shoes, it makes your occasional visits to hideous souvenir shops worth while. 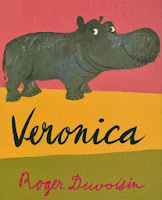 As I started I only remembered one hippo quote: “Hippopotamuses can sometimes be very conspicuous”. I'll give you a prize if you recognise it. I hadn't read the book in thirty years, but I remembered the quote. Then I spent some time on amazon and ordered all hippo books I could find. A lot has been written about animals in children's books and the range of functions they can have. They can appear in a nature story and perhaps be endowed with some consciousness, to make the story work. At the other end of the spectrum, there are fully anthropomorphic animals, wearing clothes and living in houses. Sometimes pigs have fried bacon for breakfast. The most interesting stories are in between, when the animal is humanised, but retains it animal traits. For me, the question is always: is the animal form justified? Could it be a human being? Could it be a different animal? Animal disguise does amazing things. Animals can co-habit in most bizarre combinations, and gatekeepers don't ban these books as violating family values. With animals, you can circumvent age, race, gender – all those issues that children's literature grapples with. Yet you cannot have a hippo in a story without making allowances for their – conspicuousness. It is easier with a mouse or a bunny. Hippos are clumsy. Their cuteness factor is low. They are the most dangerous animals in the world, in case you didn't know. H is of course also for heterology, heteronormativity, heterotopia, heterovocalisation and a whole bunch of hetero-s which I have already dealt with elsewhere in this blog or will deal with soon. As well as hypodiegesis, hyponarrative and other hippo-hypo-s.
H is also for Harry Potter, but I have promised myself that I will never write another word on the subject. the quote is from duvoisin's veronica! Of course it is - that's why I put in the cover! couldn't resist the tautology, teehee!